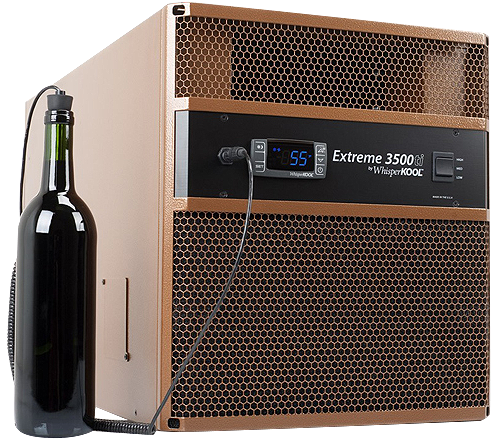 CellarPro 3200VS wine cooling units combine outstanding performance, adjustable humidity control and variable-speed fans for super-quiet operation. CellarPro 3200VS units are designed to handle extreme environments (+115°F), and are available for interior or exterior installations. An adjustable mounting flange, condensate evaporator and variable-speed fan control come standard with all 3200VS wine cooling units. The front and rear of the cooling unit can be ducted up to 50 equivalent feet. 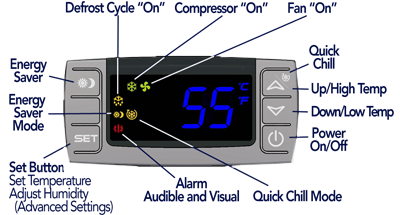 These units can maintain temperatures 55-60 degrees colder than the ambient temperature. WhisperKool Extreme 3500ti wine cooling units have been designed to fit between standard wall studs and are equipped with a rear flange which allows the units to be mounted through a wall without requiring a support shelf. Can be ducted or installed in remote locations, and can be operated in climates where ambient temperature reaches up to 110°F. 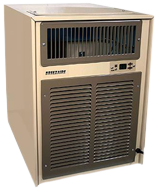 Breezaire WKL 3000 wine cooling units can be used in interior applications up to 650 cubic feet. 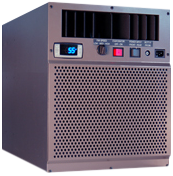 WKL 3000 cooling units are compact, self-contained units and equipped with the affordable Sentry III control system. These units cannot maintain temperatures that are more than 30°F colder than the ambient temperature.